It’s Never Too Early to Prevent Air Conditioning Breakdowns! Our hottest temperatures are still a good ways off. But don’t let our relatively cool spring weather trick you into thinking that you don’t need to worry about your air conditioner just yet. When summer does arrive in earnest, it can sneak up on you. And even though the warmer weather is generally pretty welcomed, you won’t get to enjoy it as much indoors if you need AC repair in Norman, OK. The best way to prevent this? By scheduling air conditioning maintenance, sooner than later. There are some basic maintenance chores you can do on your own. This includes changing the air filter in your air conditioner as needed. Typically, this means every 1-3 months during periods of use (and if you used a furnace this winter, the air filter is probably shared between the two systems, so it’s actually a great idea to change it now!) 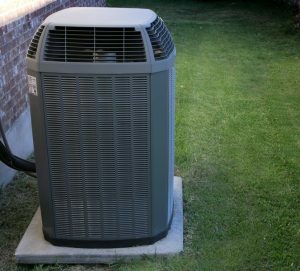 It’s also a good idea to remove any debris from around your outdoor condenser unit, to help airflow. Posted in Air Conditioning | Comments Off on It’s Never Too Early to Prevent Air Conditioning Breakdowns! If you’ve followed our blog at all in even just the past year, then you’ve seen us mention a few times how important it is for summer planning that you schedule maintenance before the season begins. While spring is typically the best time to have this done, since it hasn’t gotten unbearably hot yet, there really is no wrong time to schedule maintenance—in the absence of a total system breakdown. 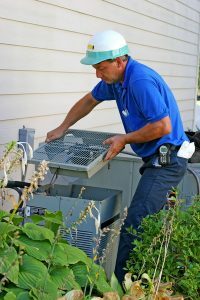 Air conditioning maintenance is the best way to avoid unnecessary Del City AC repair, improve your system’s lifespan, and help the AC function as efficiently as it can. But today we’re going to take our advice beyond simply scheduling maintenance. We want to encourage you to enroll in a maintenance program. There are a number of benefits to doing so, some of which we’ve discussed below. Posted in Air Conditioning | Comments Off on What Are the Benefits of an AC Maintenance Program? If you’ve been reading our blog, you may have seen us mention before the importance of changing your air filter. Maybe you think this is because a dirty air filter contaminates your indoor air, and this is why we urge homeowners to clean or replace theirs every 1-3 months. We understand why you’d assume this, but it’s not actually the case. The air filter that comes standard with your HVAC systems is in place to block particles and contaminants from damaging the inside of the HVAC systems themselves, by pummeling or jamming the fan or building up on other indoor components. When an air filter is too dirty, it can do just as much damage by now allowing for proper airflow and causing your air conditioner to work harder than it should have to in order to do its job—essentially leading to the need for potentially costly professional AC repair, and maybe even premature cooling system replacement. 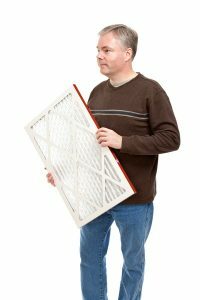 Keep reading to learn more about the impact that a dirty air filter has on your cooling system.